Many developers only focus on one or two languages. By specializing in this way, you rule yourself out of many great opportunities. In contrast, full stack developers enjoy a wide variety of employment opportunities thanks to their versatile skillsets. These masters of code can just as easily build a database as put together a drop-down menu. 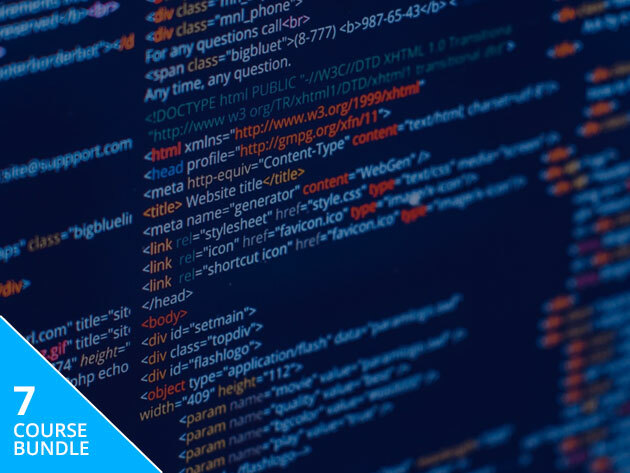 If you want to join their highly-paid ranks, the Complete Full Stack Web Development Master Class Bundle is the place to start. This bundle offers seven in-depth video courses, amounting to over 46 hours of hands-on training. You can pick up the bundle now for just $29. Whether you want to find a developer job or build your own bootstrapped startup, it pays to know the full stack. This bundle shows you the ropes, with no previous experience required. The training includes plenty of projects to try, and each course offers a certificate of completion. Order now for $29 to get lifetime access to all seven courses, worth $693.